Who is Attorney General Avichai Mandelblit? On Tuesday night, the Israeli Police dropped a bombshell by announcing that it recommended putting Prime Minister Binyamin Netanyahu on trial over allegations of bribery and breach of trust in two separate investigations. 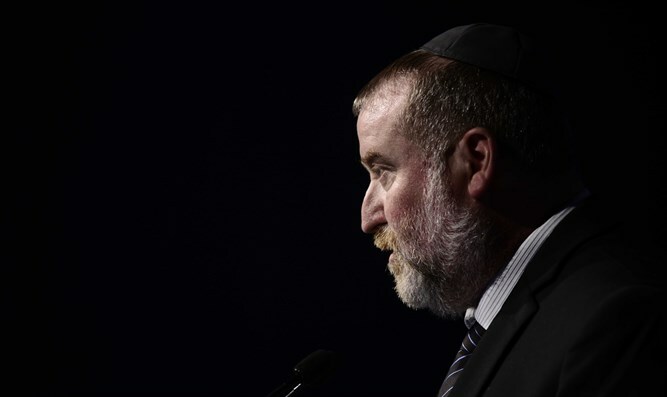 Immediately after the announcement, all eyes turned to Attorney General Avichai Mandelblit, who now has to decide whether to move forward and indict Netanyahu and potentially end the premier’s nine-year run at Israel’s helm. Seasoned observers of Israel’s political scene predict that Mandelblit will come under a tremendous amount of pressure from the media to indict Netanyahu. “In order to close two bribery cases against three of the strongest figures in Israel - the suspicions need to be very weak or Mandelblit has to be very strong,” tweeted Channel 2 Political Correspondent Amit Segal. While Netanyahu has been subject to endless scrutiny by the media during his long sojourn in power, little is known about Mandelblit. The quiet and unassuming man, whose demeanor – as per friends – masks a brilliant legal mind, has the power to do what the Israeli left, large parts of Europe and the Israeli media have been dreaming of for a decade: Bringing the seemingly endless Netanyahu era to a close. Mandelblit was born in 1963 and grew up in Tel Aviv. His mother fought the British as part of the Lechi underground militia and Mandelblit grew up in a strong right-wing household, a rarity during a time in Israel characterized by the ruling Mapai party’s hegemony. At age 18, he enrolled in Tel Aviv University to study law as part of an elite IDF program. Mandelblit went on to spend 27 years in the IDF Military Advocate General Corps, filling a long string of positions including military prosecutor, public defender, and judge. At age 26, Mandelblit underwent a profound change. Seemingly overnight, the once-secular Tel Avivian started eating only Kosher food and keeping the Sabbath. Mandelblit became a follower of Rabbi Baruch Shalom HaLevi Ashlag, a kabbalist and Hassidic rebbe. The reasons for this dramatic lifestyle shift are unknown; he has never publicly addressed the issue and even his closest friends have admitted to the Israeli media that they, too, are kept in the dark. In 2004, Mandelblit reached the pinnacle of the IDF’s legal arm when he was appointed to be the Military Advocate General. The position placed the shy attorney in the public’s eye for the first time. Mandelblit ruled on a series of controversial cases, such as Israel’s use of cluster bombs in the Second Lebanon War in 2006, the Gaza Flotilla, and the decision to indict popular and charismatic Brigadier General Chico Tamir on charges of misconduct for lying about a car accident involving an IDF vehicle. Mandelblit earned harsh criticism during his tenure from Israel’s right, who contended that his strict interpretation of international law effectively paralyzed the IDF from operating against its enemies. According to the Walla news portal, Mandelblit infuriated a large number of senior officers when he forbade the Air Force from bombing a valuable Hamas position over fears of civilian casualties during Operation Cast Lead in 2008. Mandelblit was also heavily criticized when he opened a criminal investigation against combat soldiers from the Givati Brigade over allegations that they mistakenly killed innocent civilians during the operation. The decision enraged large amounts of the Israeli public and an unknown individual defaced Mandeblit’s house with ugly language in response. Mandelblit controversially cooperated with far-left groups such as B’Tselem, famously saying that “they do their work and I do mine”. After climbing the career ladder in the IDF, Mandelblit became Netanyahu’s cabinet secretary in 2013, before replacing Yehuda Weinstein as Attorney General in 2015. In his brief tenure in the prestigious and influential job, Mandelblit managed to irk the right for refusing to defend the Regulation Law, which he claimed provides a license for stealing Arab land, and the left over his unwillingness to speed up the police probe into Netanyahu. Now, after Tuesday night’s police bombshell, the entire nation turns its eyes to the bashful kippa-wearing lawyer. While a decision to indict Netanyahu would not obligate the premier to resign, it would likely end his political career. Despite the media frenzy, Mandelblit’s contemporaries say they are confident that he will withstand the pressure and rule on strictly legal motivations. “Don’t let his demeanor fool you,” a senior government figure told Walla. “He is a jurist who puts what is right before everything. He won’t have a problem putting the Prime Minister on trial."